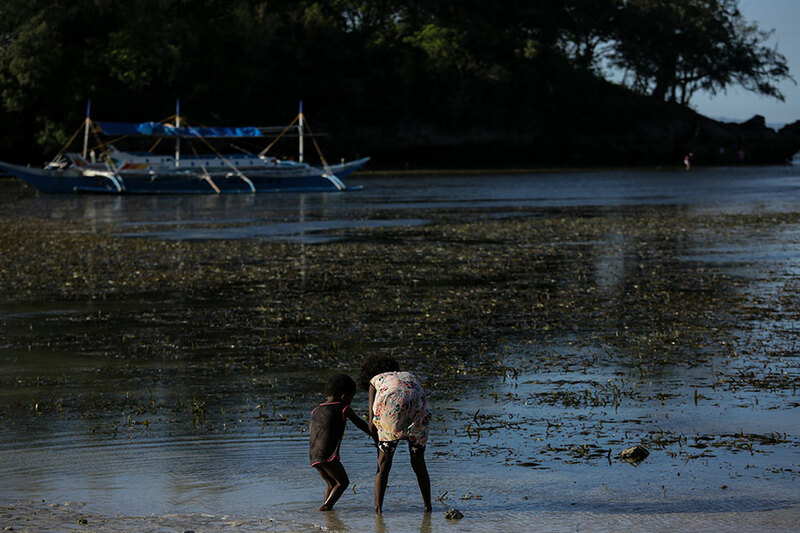 MANILA - President Rodrigo Duterte on Thursday made good on his promise to distribute a portion of Boracay island to agrarian reform beneficiaries, as the government sought to bring the beach paradise to order after years of overdevelopment. Duterte distributed 623 certificates of land ownership award, covering 274 hectares of land in Boracay and Aklan, to the area’s original inhabitants and other agrarian reform beneficiaries. Six of the CLOAs went to 45 members of the Boracay Ati Tribal Organization. The Atis are the original inhabitants of the island. They were compelled to live in a 2.1-hectare gated community as the island was developed into one of Asia's prime beach destinations in the early 2000s. Duterte earlier said the Ati tribe could opt to sell the awarded land to "big businesses" so that they "will have huge money." The Ati tribe agreed to never sell the land, tribe chieftain Delsa Justo earlier told ABS-CBN News. "Sa aming mga Ati, ang alam lang namin ibenta ay 'yung mga isda na nahuli namin, mga gulay na nakuha namin. Kung lupa na, hindi magagawa ng community," Justo said. "Hindi na namin alam anong gagawin namin sa pera 'pag nabenta namin 'yan. Ang lupa, mamatay ka man o buhay, lupa pa rin," she said. The famous holiday island was closed to tourists on April 26 after Duterte branded it as a "cesspool," citing its sewage woes. The government then embarked on a 6-month rehabilitation of the island in an effort to clean up the beach destination, considered one of the country’s top tourist spots. It reopened last Oct. 26, with authorities enforcing stricter rules to ensure cleanliness and order in the island, but some road and infrastructure works remained unfinished. Under the new regime, the once-cluttered beachfront was cleared of massage stalls, vendors, bonfires and even the builders of the island's famous sandcastles. Under Boracay's new rules, 19,200 tourists will be allowed to enter the island at any one time, with the government aiming to enforce that by controlling the number of available hotel rooms.